After rain on Friday, it turned into a beautiful spring weekend in the Lake District, with daffodils and lambs everywhere. 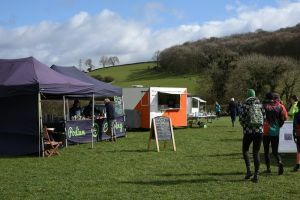 On Saturday 23 March, there was a Middle Distance event at Haverthwaite Heights, near Newby Bridge, south of Lake Windermere. 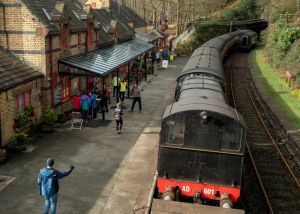 The event centre was at the Lakeland and Haverthwaite Railway (no trains that day), with Registration on the station platform. The terrain was very technical, mostly oak woodland, with some coniferous sections and open areas, lots of rock and intricate contours, demanding concentration all the way round the course. The weather was quite warm and sunny, and it was surprisingly dry underfoot. 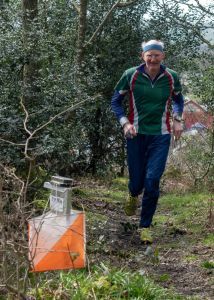 Full results and other details about the event, including links to photos, are on the Spring Weekend Day 1 page of the Lakeland Orienteering Club website. There was also a Junior Selection Sprint at Lancaster University in the morning, where Rachel Brown came 1st in W16. Full results for this event are here, on the South Ribble Orienteering Club website. 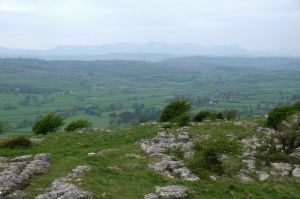 Sunday’s event was at Hampsfell, slightly further east. The Assembly area was in a field at the foot of the hill, with a walk up to the start. The terrain was varied, with lots of rock features throughout, and some complex contours. 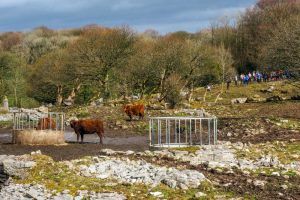 The early controls were in Eggerslack Wood, deciduous woods on the east side of the hill, then it was out onto the open hilltop, where there was short grass amongst areas of limestone pavement (and wonderful views), and finally there were some tricky controls in scrub. The weather was fine, though breezy and quite chilly on the open areas. Underfoot conditions were mostly good, except near the start where there were cattle and it was very muddy. This event was also a Junior Selection event, with separate classes running shorter courses than usual, and Rachel Brown again won W16.